I am so pleased to have discovered Equleni! It offers a haven of peace and tranquility in a suite that is beautifully appointed with lots of thoughtful extras. Spectacular views and sunsets all contributed to a wonderful breakaway, made all the more special by the warm hospitality of the owners. Really dog friendly too – big bonus!! Words can barely begin to describe the perfection that is Equleni Guest Farm. Free-Drift cottage is a little piece of paradise nestled amongst towering🌲, with breath-taking lake views. The bedroom, bathroom, lounge and veranda all provide idyllic views of the magnificent scenery. The rustic, yet contemporary decor was pristine and comfortable complementing the sublimity of the cottage. Diane is an excellent host, with her attention to detail evident in the fresh milk, filter coffee ☕ , fresh juice, hot chocolate, Easter eggs and small and large marshmallows provided on our arrival. All condiments and necessities were provided for our convenience. 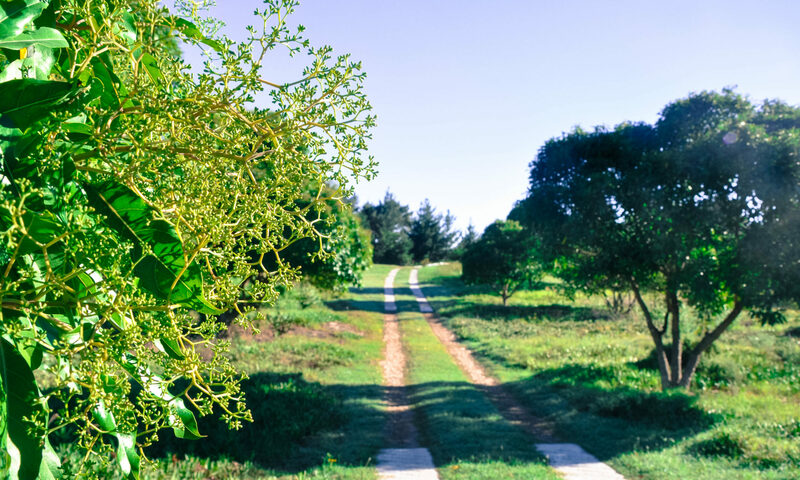 Within close proximity to many activities for all tastes Equleni Guest Farm is truly a gem 💎 just waiting to be discovered and enjoyed. Diane, thank you for our unforgettable stay. We cannot recommend the guest farm enough. 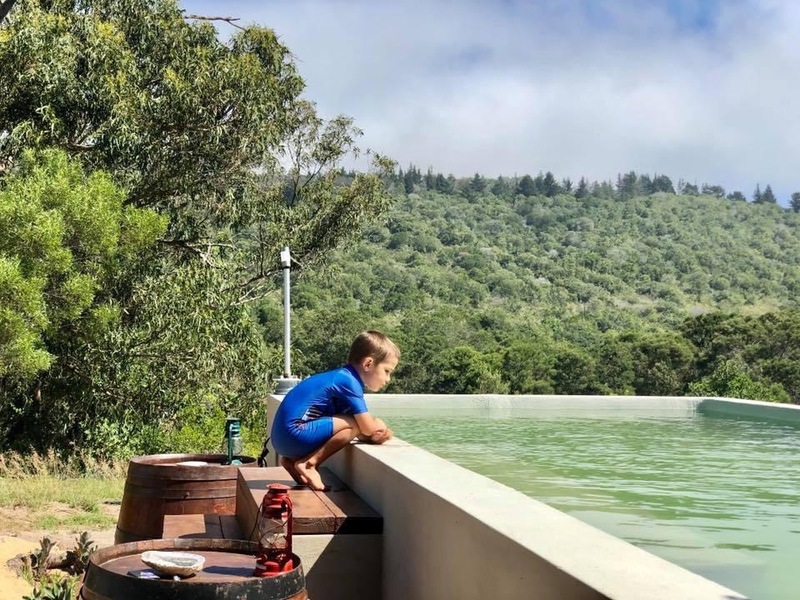 We 😍 our stay at Equleni Guest Farm… we will be back! Beautiful, relaxing and so well equipped! 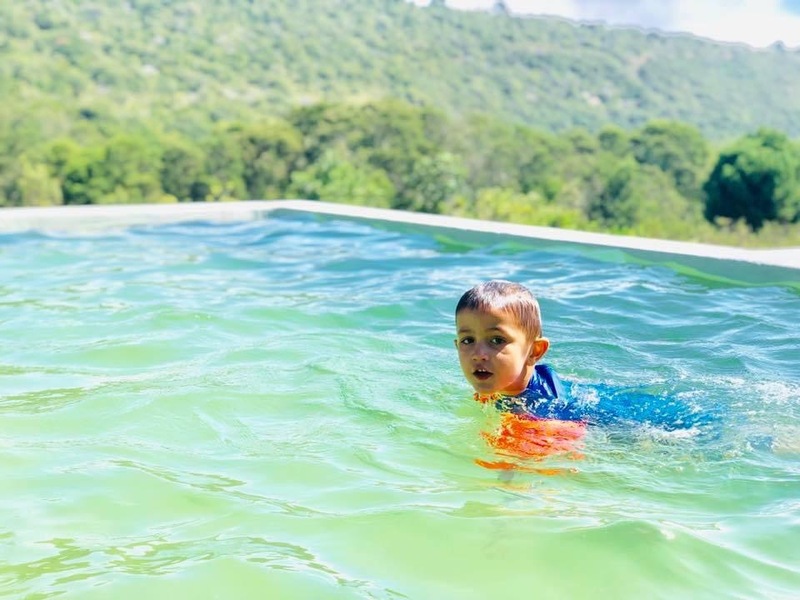 And the swimming pool…delightful. We will back !! Dianne was such a wonderful host and went the extra mile to make our stay special. From the freshly ground coffee and morning rusks to the marsh mellows our kids enjoyed around the braai. Her place was immaculate and tastefully decorated and the luxurious king size bed made for a restful sleep every night. I highly recommend staying at Free Drift it’s the perfect break from the stress of city life, it exceeded our expectations. We will surely be back. Tino and I really enjoyed our stay with you! Loved the modern pad with all its creature comforts and so nice to be able to catch up on some work with your super-fast WiFi! And what a view to enjoy while working! A great spot for humans and dogs. Thanks for having us and we will be back… ?? Morning Diana? This is a long overdue ‘thank you’ from Glen and I for our stay at Equleni in May. We were celebrating our Silver Wedding Anniversary and we wanted a very special place, worthy of this milestone. Since it was Glen’s first time, he too could not get over the beauty of the location, the overall peace and the luxurious comfort of the cabin. Thank you for the vouchers and for all the lovely extra kindnesses you included to make our stay so memorable. 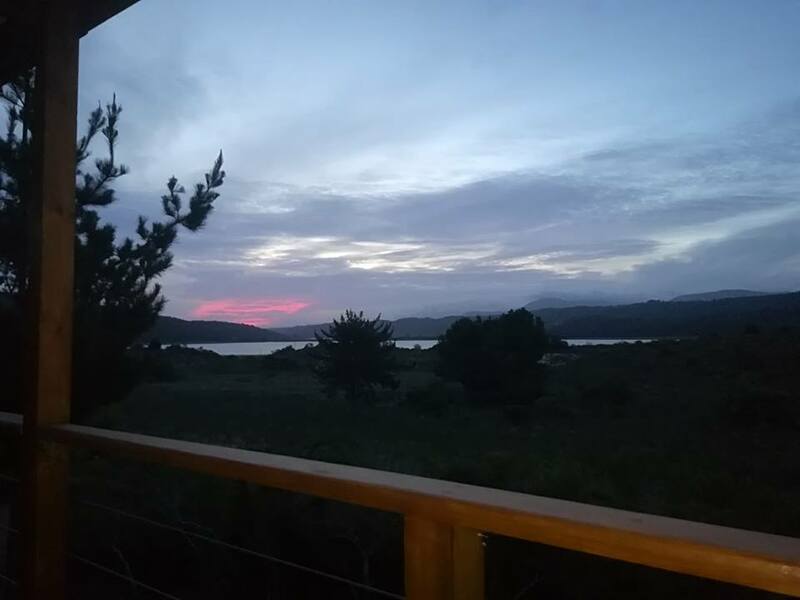 We will always remember the solitary walks in the veld, the full moon shimmering on the lake and sitting under an indescribable night sky with a glass of champagne…not to mention dramatic sunrises and sunsets… what perfection! 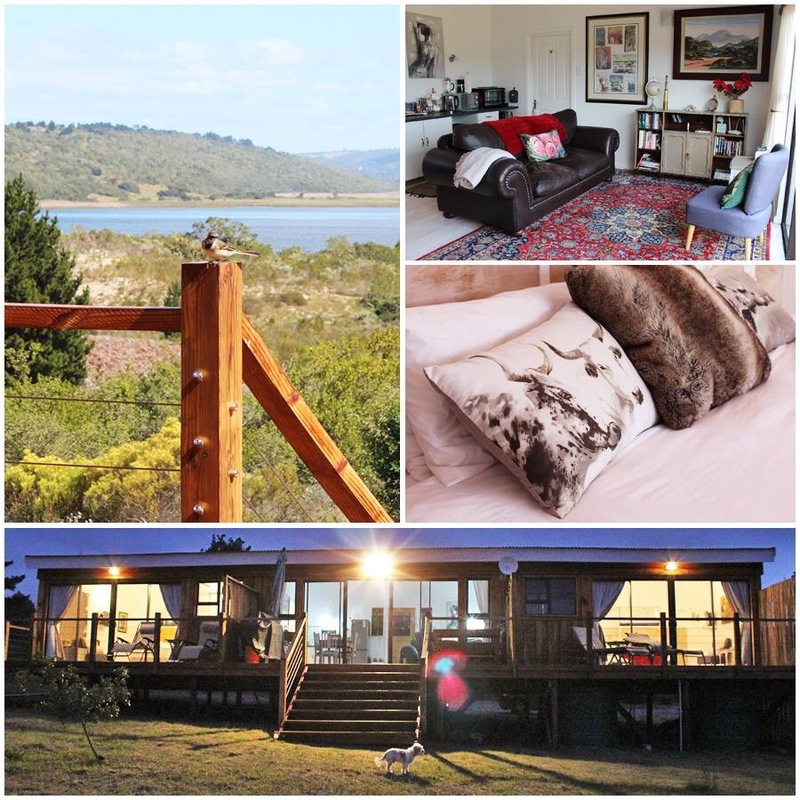 We will return as often as possible, now that we both feel the same about your piece of heaven in Sedgefield. Thank you ! ? 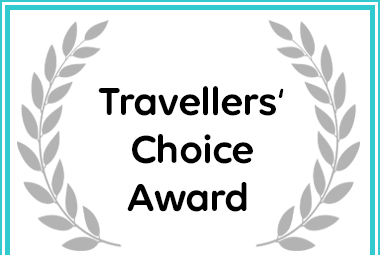 Equleni Guest Farm received a Travellers' Choice Award due to exceptional customer reviews for Sedgefield Accommodation. 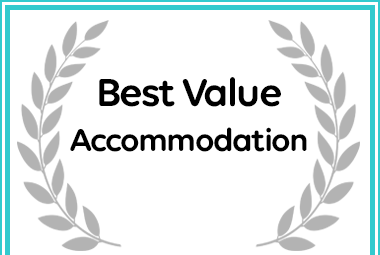 Equleni Guest Farm in Sedgefield received a Best Value Award.